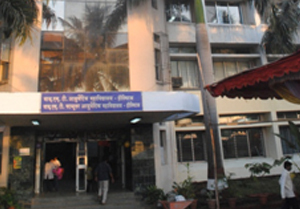 The department focuses on paediatric and adolescent medicine. Congenital as well as progressive neurological ailments, various paediatric skin diseases and all common clinical paediatric cares are attended. Department organised a national seminar on Indian Paediatrics which was attended by about 300 delegates from all over India, several medical camps and awareness programme are conducted by the department. Kaumarbhritya is the subject taught in the final year B.A.M.S. Professional Degree course; this is the important basic clinical subject of Ayurveda. It is one of the eight branches (Ashtang) of Ayurved. Department is having well qualified, studious co-operative and experienced staff. Departmental library is well maintained. Dr G.D.Pol Foundation is attached for clinical knowledge where a variety of cases are available as clinical material. 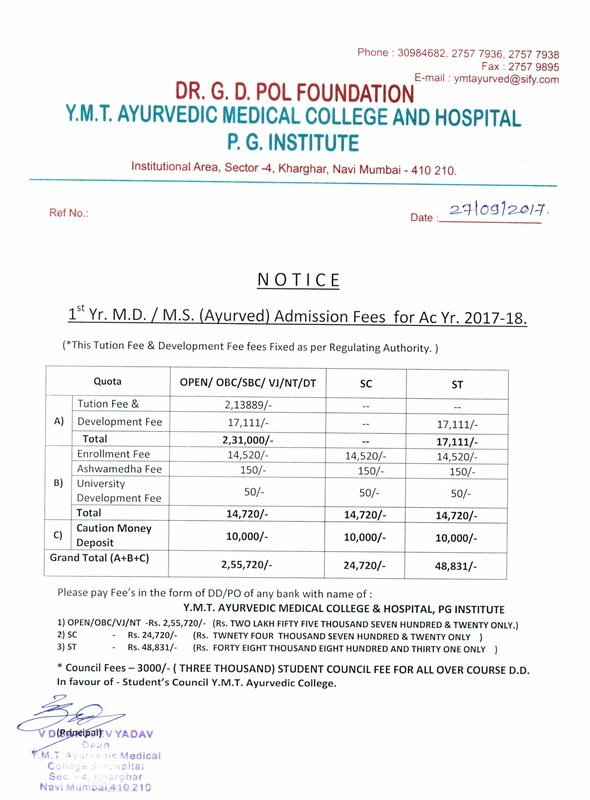 Students get knowledge of Ayurveda as well as modern science to face emergency condition as ICU facility is available. 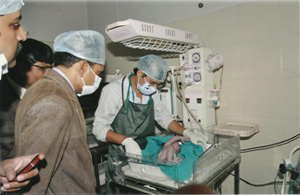 Department has daily NICU, Paediatric ward and Neonatal ward rounds taken by our Medical Officers and Honorary Paediatricians. Department conducts clinical presentations and discussions regularly. We deliver most of the lectures with the help of audio visual aids and we try and improve quality of lectures by all means. We organise lectures of renowned physicians in the field of Ayurved to develop belief and faith in Ayurved. Moreover we organize horanary lectures by renowned doctors from modern science that will help to enhance knowledge of our students. We strive hard to reach out to the community. 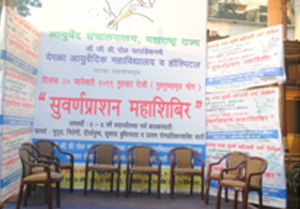 We propagate Ayurved and its principles in general public by organizing various medical camps, public lectures etc. 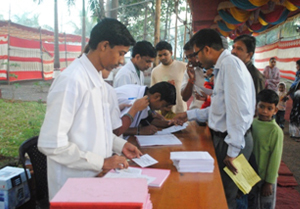 Department participates in various Health check up camps organized by Institution. Department took active part in prevention of epidemic of swine flu by participating in vaccination programme and in promoting Ayurvedic medicine. Department promotes PG students in clinical Research work posted in Paediatric department from other specialties. Case presentation and clinical meetings. 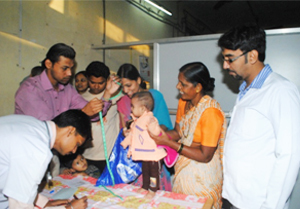 Department runs vaccination programme recommended by national immunization programme everyday successfully. Since 2.5 years our department conducts Suvarnaprashan programme once a month on : “Pusha Nakshtra” day. We have been conducting healthy baby competition, Fancy Dress competition and other such activities.